It’s back! Foodie Friday is back! For no other reason than I’ve been flat out busy, Foodie Friday has been gone for about a month, but I’ve been trying new Pinterest recipes each day this week, and with beautiful sunshiney weather, I had great light for my pictures! Cut stems off cauliflower, breaking it into medium sized pieces. Remove from the microwave and put into a high speed blender or food processor along with the 8 slices of pepperoni and 1/4 cup mozzarella cheese. You can adjust the cream and butter to your preference for consistency. 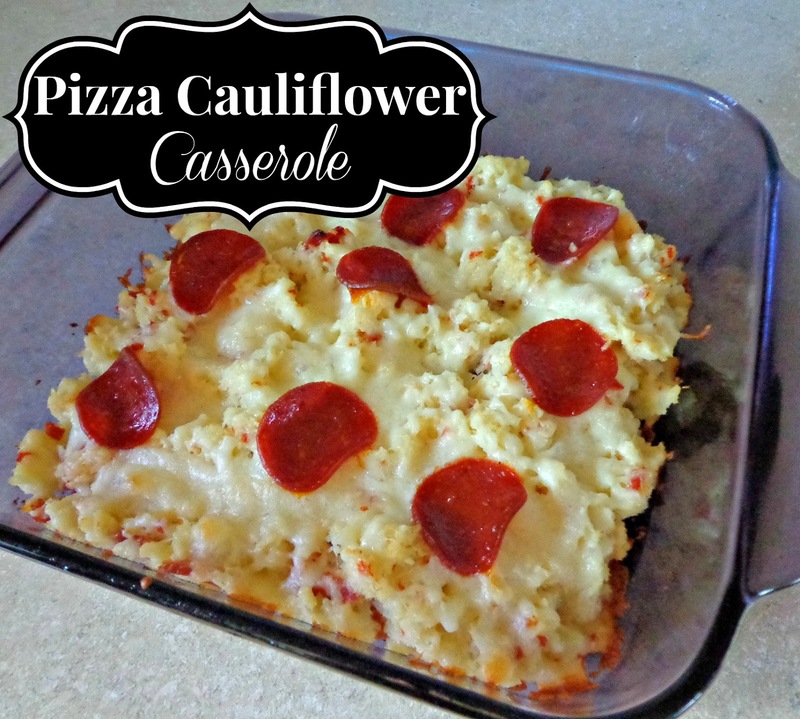 Spread the cauliflower puree into an 8 x 8 oven proof casserole dish. Cover with 1/2 cup shredded mozzarella cheese, and layer with pepperoni. Bake at 375 degrees (F) for about 20 minutes. Alternatively you could microwave this for 5 minutes. Here is my two cents on this recipe: I thought it tasted delicious! I’m not sure why I was thinking it was enough to eat as the main dish, but it’s not. It makes a pretty small amount. The head of cauliflower I got was probably more on the side of small, rather than medium, but even if it were medium, it still doesn’t make a lot. So I ended up making french dips also and it was great as a side. After we ate it I asked everyone what the verdict was and Zachary (11) said I should never make it again. Tyler didn’t really like it, Summer wouldn’t eat it and Travis said it needed onion. But like I said, I thought it was really good and after dinner I finished it off. If you like cauliflower even a little, you’ll like it! This looks really good! It seems like it’s a good low carb option too. I love cauliflower so I’m going to give it a try.